After a last second field goal by Sioux Falls (1-0) lifted the Storm to a 47-44 win in their 2019 season opener, the new Cedar Rapids representatives of the IFL could hang their heads after the loss. Head Coach Mark Stoute, however, has a different mindset. Other than one lost fumble, the Storm defense had no first half answers. The River Kings were able to perform very efficiently in their offensive schemes, racking up 95 total yards and 34 points. Quarterback Ryan Palandech led the offense to touchdowns on five of the first six offensive possessions, going 11-13 for three scores and rushing for 35 yards and another touchdown. This is promising for the new offense. Stoute believes that this team needs to stay disciplined. With a handful of penalties and a fumble, there are opportunities for the River Kings to tighten up. A key player that will have a lot of eyes on him in Week 2 is Marquel Wade. He made a few key grabs in the contest against Sioux Falls, including two touchdown catches. His seven receptions had him five yards short of the century mark. Nate Chavious will try to keep up the performance next game against the Rattlers, as he was able to find the end zone twice on eight rushes. Defensively the River Kings bowed up well against a couple good Sioux Falls kick returns in the first half. The highlight of which was holding the Storm to a field goal after Tra’von Chapman returned Henry Nell’s kickoff to the Cedar Rapids’ one yard line in the second quarter. Overall the defense limited Sioux Falls to 215 total offensive yards, and just 99 yards through the air. Travont Johnson and Tavion Garrison led the defense with six tackles each for the River Kings. Malik Slater added a sack and two tackles for loss. Special teams play kept the Storm in the game throughout the game. Sioux Falls racked up 166 yards on 7 kick returns, returning one for a touchdown. Their average starting field position for their own 22 yard line. 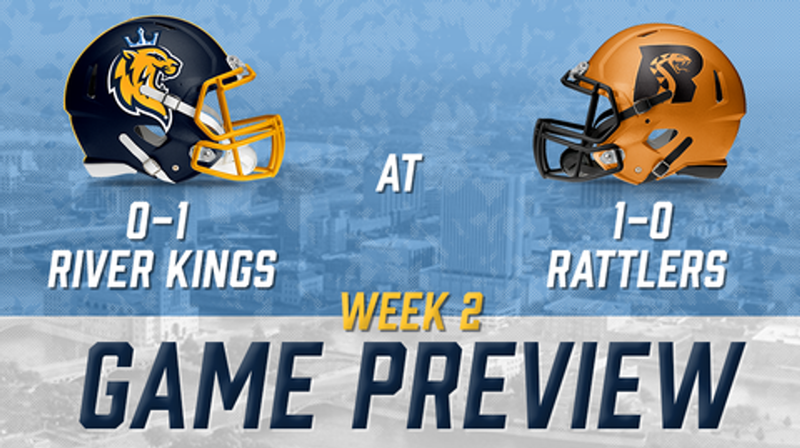 The River Kings know what they have on their plate with the upcoming games against the Rattlers in Week 2 and the Strike Force of San Diego in Week 3. As for the Rattlers, their offense was making plays in an array of ways. They had two quarterbacks in the game, Jeff Ziemba, who started, and Verlon Reed Jr., who played the entire second half. Ziemba went 10-13 with 97 yards and a touchdown. Reed went 4-5 for 51 yards and had two rushing touchdowns. In the backfield Jabre Lolley was a force to be reckoned with. On 14 rushes, Lolley tallied up 88 yards, as well as three endzone visits. 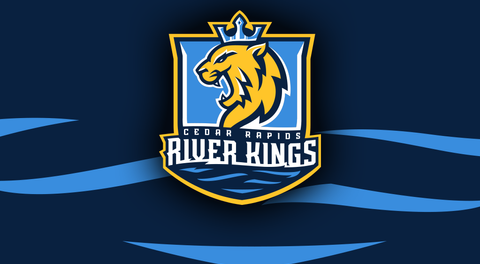 It will be interesting to see if the River Kings will be able to find a way to keep him to a smaller impact. The Rattlers’ defense had a great night, forcing Green Bay to throw into the wrong hands three times. Along with that, their pass rush resulted in four sacks, three by Josh Gordon, who also had a safety. The Rattlers need to tighten some loose bolts, as they had 12 penalties for 98 yards, so they do want to make sure they’re disciplined against the River Kings.